System-on-chip (SoC) designers must confront a new learning curve to build SoC solutions for the Internet of Things (IoT). IoT is challenging for designers because SoCs must support a variety of mobile or mobile-influenced IoT applications and use cases while ensuring that the components and end products perform well within the required operational and cost constraints for small-sized devices. This article describes IoT use cases and interface and connectivity specifications that designers should consider to quickly bring to market innovative products that successfully meet the needs of targeted applications. 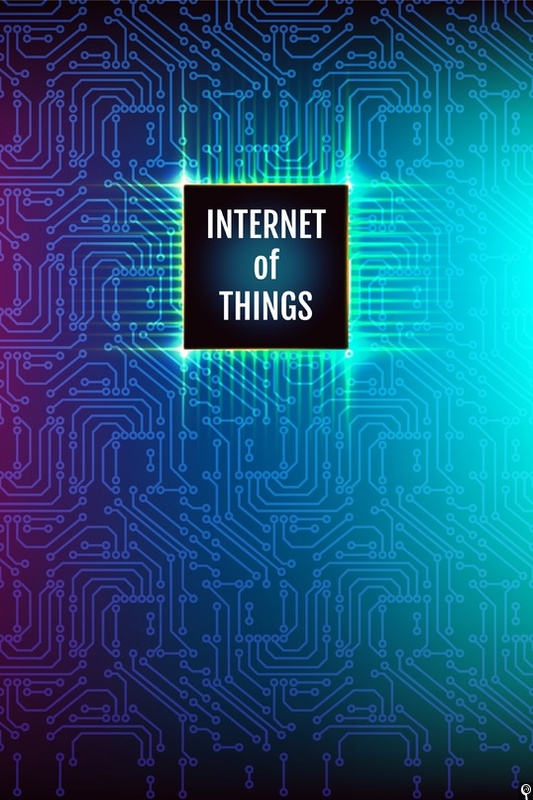 To estimate the fast growth and scale of this market, McKinsey Global Institute has projected that by 2025 the IoT could bring connectivity to 100 billion devices. It will also drive strong demand for components that are used to build IoT products. The firm reports that from 2013 to 2014, the market for IoT components and systems grew 160 percent and McKinsey expects that demand will continue to drive component growth at a rate of 30 percent per year through 2025. IoT systems consist of numerous sensors with the associated electronics. The sensors are connected to the cloud wirelessly or via a standard network interface such as Ethernet or Wi-Fi – however, a single connectivity solution does not fit all. The use of wireless connectivity in an IoT system, for example, depends on the distance, bandwidth, security, and other variables specific to the use case. To add to the complexity, the SoC option at each stage of the IoT system will vary, ranging from high-end to low-end designs. The following sections describe these options and the role of MIPI Alliance interfaces in each. Before building IoT SoCs, designers need to characterize the key features the SoC must support and determine the interfaces that are most suitable for interconnecting the required components. A practical approach is to segment designs according to high-end or low-end use cases and apply these classifications to establish SoC and peripheral IC connectivity requirements. Because IoT devices can have very small form factors, designers need techniques that can cost-effectively accommodate multiple components in limited board space while ensuring low-power consumption, efficient operation, and low electromagnetic interference (EMI). Designers also need flexibility to meet a variety of market needs. Fundamentally, they need to make sure their designs are able to adapt to today’s and tomorrow’s required features and interfaces while maintaining a small silicon footprint and low cost, particularly for price-sensitive applications. High-end IoT applications include wearables such as smart watches, in-sight display (glass) applications, virtual or augmented reality (AR) head-mounted displays, and gaming products. Many of these applications will employ machine learning. Such devices are manufactured in moderate volumes associated with niche and often high-priced products. Typically, the SoC will interface with a camera, a display that has graphics capability, and sensors. The SoC block will typically run an OS and include on-chip memory, security functions, and sometimes an audio interface (Figure 1). High-end IoT products will connect wirelessly with other devices and to the Internet. Many devices will use Wi-Fi or Bluetooth low energy (BLE) for connectivity. Others will interconnect with and sometimes enable fast data exchange with the cellular network. In the future, 5G connectivity will allow ultra-fast transmission and reception and enable applications such as robotics to have the computing power and fast connectivity needed for multi-sensing systems. Cameras, displays, and sensors will play significant roles in these devices, and engineers will seek methods that can conveniently interface the components to deliver the required throughput while minimizing pin count, energy consumption, and electromagnetic interference (EMI). MIPI Alliance and its working group members have developed the required specifications to enable complete interfaces and efficient connectivity in high-end SoCs. Designers can interconnect cameras and high-end SoCs with the MIPI Alliance Camera Serial Interface (CSI-2), which interfaces cameras in smartphones and can support a broad range of imaging solutions. Displays can be supported with the MIPI Display Serial Interface (DSI), which connects to displays in smartphones today. If a product needs routine audio features, audio sensing, or voice trigger capabilities such as a human machine interface, MIPI SoundWire can be used to support these attributes. Low-end IoT use cases, similar to machine-to-machine (M2M) communications, are designed primarily to gather and transmit data from sensors and may or may not need additional features. The devices can function with a real-time operating system and they will typically run on a coin cell or AA battery. BLE is the most practical option for wireless connectivity. Low-end devices could potentially include a display or a camera (Figure 2). Low-end SoC designs can provide basic functionality and flexibility to accommodate a range of segments within this market. Devices are manufactured in high volumes at low costs. Smart door locks and fitness wearables are typical applications. The segment could also include smart appliances, smart meters, point-of-sale devices, security cameras, and even mousetraps. Today, SoCs for these use cases can employ I2C to interconnect sensors, but a new interface, MIPI I3C, is targeted to support sensors in IoT and other low-power system architectures with much greater bandwidth while requiring fewer wires in system designs. This new interface was developed with participation from experts across the sensor and mobile industries and is backward compatible with I2C, and will offer a particular advantage in low-end designs because it is complementary to MIPI CSI-2. For example, MIPI I3C is used for the Camera Control Interface (CCI), a sideband channel used to connect the SoC and the image sensor. Furthermore, the MIPI CSI-2 protocol, using the two-wire I3C interface, enables always-on, low-power, low-resolution image capture. The combination of MIPI CSI-2 and MIPI I3C creates opportunities for designers to add camera features to low-end products. Designers can also use MIPI I3C to build a “superset” SoC that supports value-added features. For example, an SoC that uses MIPI I3C for sensor integration for a simple door lock could incorporate an image sensor with MIPI CSI-2 to support a facial recognition feature in a high-end version of the door lock product. Designers who are developing IoT SoCs can pursue their designs with confidence by taking advantage of interfaces that have been specifically developed for use in the challenging mobile and mobile-influenced device environments. Many generations of interface specifications, optimized for cost and power, are already proven today, reducing risk and enabling faster adoption. The specifications continue to evolve to meet new market needs, enabling designers to leverage specification advancements in future designs and to meet their IoT SoC requirements. By segmenting designs for high-end or low-end use cases and applying the required interfaces accordingly, designers can develop their designs with as few wires as possible while ensuring their products provide the power, cost and performance attributes needed to benefit customers and drive market success. Peter Lefkin is the Managing Director of MIPI Alliance. 1. Rose, Karen, Scott Eldridge, and Lyman Chapin. “The Internet of Things (IoT): An Overview.” October 2015. https://www.internetsociety.org/sites/default/files/ISOC-IoT-Overview-20151221-en.pdf. 2. Manyika, James, Michael Chui, Peter Bisson, Jonathan Woetzel, Richard Dobbs, Jaques Bughin, and Dan Aharon. “The Internet of Things: Mapping the Value Beyond the Hype.” June 2015. http://www.mckinsey.com/business-functions/business-technology/our-insights/the-internet-of-things-the-value-of-digitizing-the-physical-world.